Wallenting Siding & Exteriors offers a wide variety of options to protect and style your house. Our installers excel in custom and difficult jobs, always ensuring that the work not only looks professional, but will also last for many years to come. We prefer Certainteed Fiber Cement, We do install Hardie Plank and Smart Siding. We specialize in fiber cement installation. There are several ways of install Fiber cement and try to show the different methods on our site. Most important, we follow the install specifications written by the manufactures. Our install crews are certified in each of the different product lines. We use only hot dipped galvanized 8d nails, smooth, with round heads. Absolutely no staples are to be used on any of the Fiber Cement or Smart Siding panels. Flashing is most fundamental part of the installation method. Improper flashing can cause you siding to leak and ultimately fail. We can install trim flush or use a fir out technique. We prefer the fir out technique-it makes the trim stand out on the wall, and there is less caulking involved and the less caulk you have to rely on the longer your home will last. We prefer using composite trim versus fiber Cement trim. The main reason for this is because it has a fifteen-year warranty and the composite is routable if necessary. It is also the only product you can cut at a 45-degree length ways without damage to the product. There are many styles and colors available in vinyl siding so, it is best to look online or get with your sales rep to go over styles and colors. One of the most important things to do with vinyl siding is to nail the product loosely so it has room to expand and contract. The reason most people identify vinyl as a cheap product is because of the poor installation methods. It is very easy to make vinyl siding look bad by using cheap products and poor installation methods. Using the right accessories and tools for the job are essential. We have provided an installation guide to dial up the fundamentals of installation, however not everything we do is provided in this literature. Example: We prefer aluminum J-channel versus vinyl. It sits tighter and gives you a cleaner look. We prefer using nothing less that .042 Thickness on vinyl siding. Board and Batten is one of the most temperamental vinyl products on the market. It must be hand nailed to achieve its completer performance. One tight staple or crooked nail can cause several panels to look terrible. This product is very popular with our customers and with us as a company. Cedar Impressions is a polymer based product which has proven itself for over 30 years. 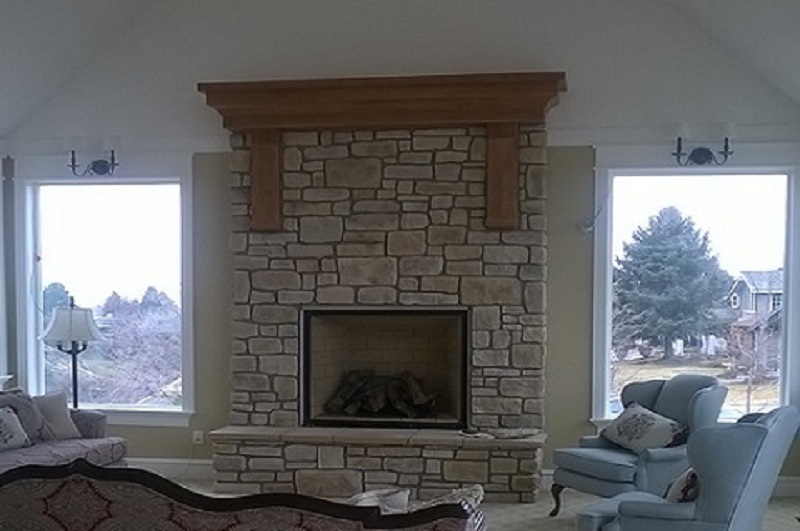 It gives the most realistic look of shake, with out the maintenance issues of real cedar shake. 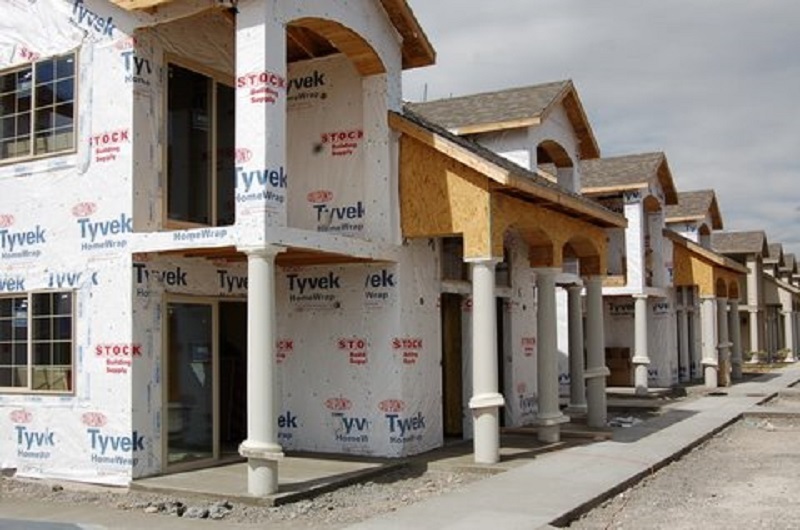 Wallentine Siding & Exteriors specializes in DuPont Tyvek HouseWrap and is the first company in Utah to complete Dupont’s Certified Installer Program. Wallentine Siding & Exteriors has been in business since 2005, and we have installed more than 5 million sq. ft. of Tyvek on over a thousand buildings without ever having to redo a job. 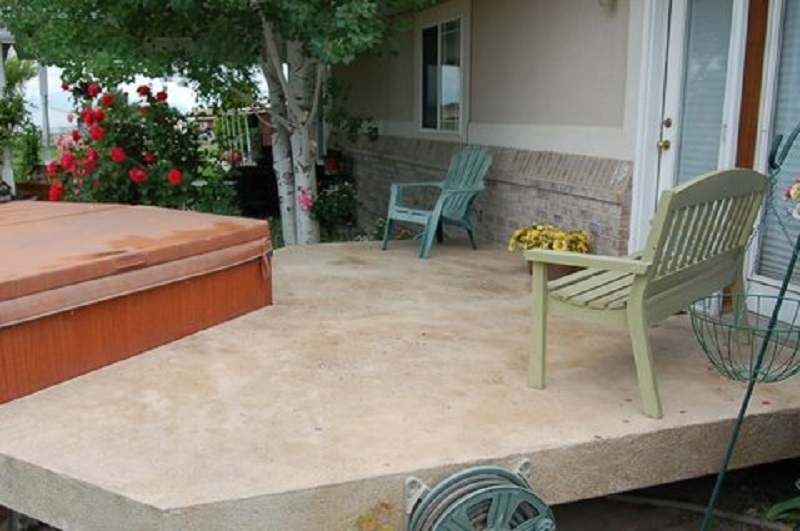 Pli-dek is a waterproof deck and flooring system. Wallenting Siding & Exteriors’s Pli-dek options are the perfect touch to anything from a backyard to a entrance. In addition to being waterproof and resistant to weather, Pli-dek floors are also customizable with color and feel. From hot tubs to balconies, we have installed pli-dek in a variety of locations. No matter how good the siding, a house’s soffit and fascia complete the architecture. Wallentine Siding & Exteriors specializes in custom soffit and fascia to ensure your home’s roof and siding merge together flawlessly. Our Soffit application is crucial in preventing any Soffit from blowing out from wind. We install 1x2 wood blocking against the wall above the metal channel to prevent wind damage.. We also use a 1x2 wood brace in center of Soffit panel on any Soffit overhangs over 3 feet wide.. We install wood bracing every 2’ on center on all porch ceiling areas. Any beam wrap up to 6” or less we use flat stock coil. Any beam above 6” we use vertical Soffit which prevents oil canning. 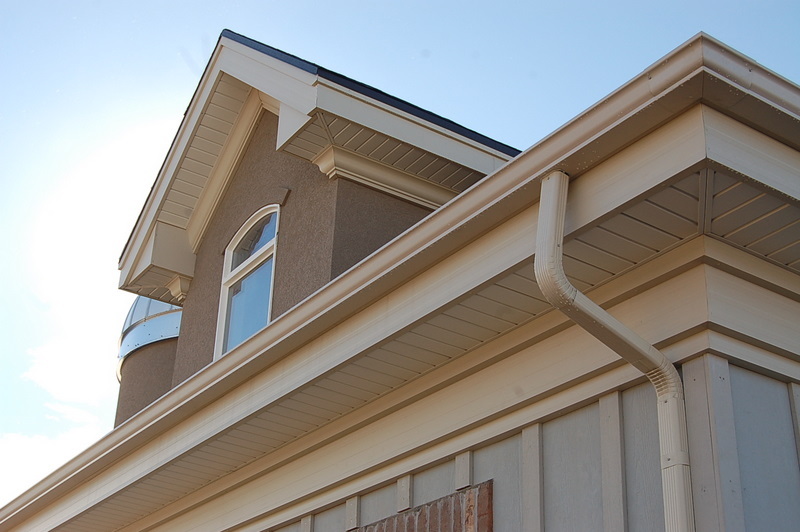 Rain gutter adds a custom crown accent and protects your home, landscaping and sideways from water corrosion. It helps funnel the water from your roof to where you want it to be. We use only the best gutter sealants available to eliminate leaks in miters and end caps, two of the most important areas. We use only quality products such as Raytec Hangers for 5” & 6” rain guttters as well as Hidden Hanger Fasteners and roof straps. In addition, we use wedges for those angled fascia applications, outlets for downspouts. We do NOT use spike and ferrules. Wallentine Siding & Exteriors’ crew is experienced in stucco and stone to add the finishing touch to a well designed home. Years of artistic and architectural experience go into each job. 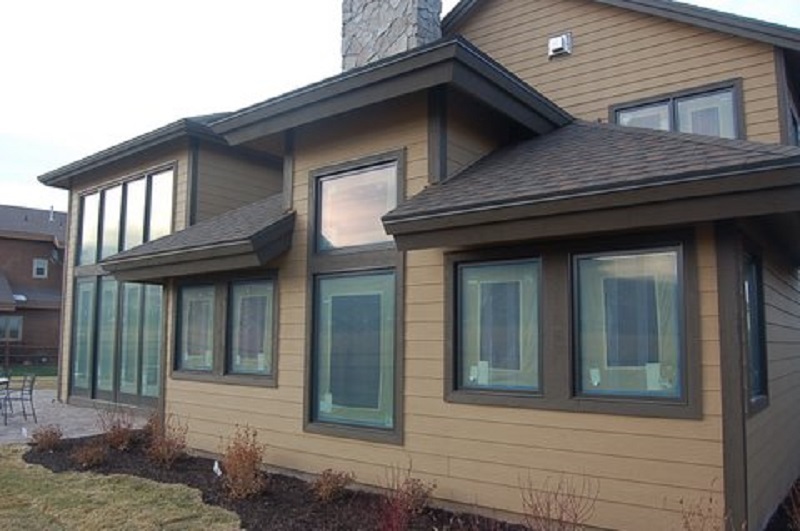 Wallentine Siding & Exteriors can help make your home much more energy efficient by adding/replacing insulation. 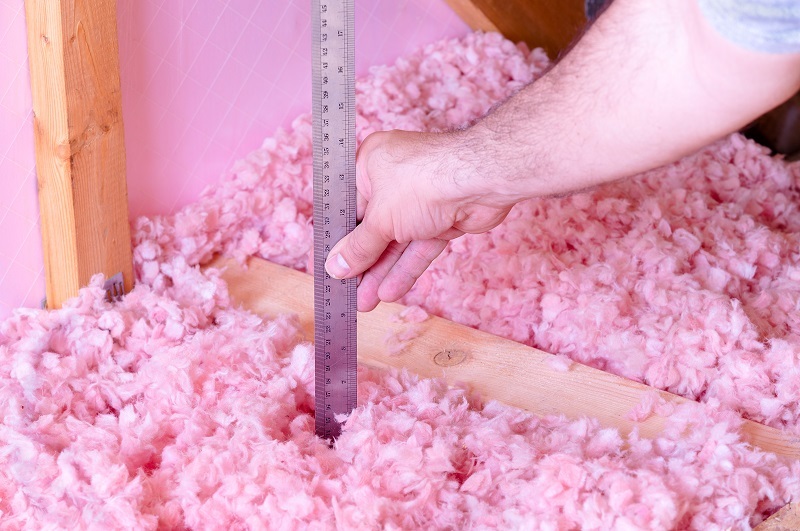 Many older homes have less insulation than what is needed and many newer homes can benefit from extra insulation.